Publishers used to search for what is SSL certificate? How do SSL Certificates work? Where to purchase a wildcard SSL certificate? Wildcard certificate san? Can a wildcard SSL certificate details be used on multiple servers? Where to get a free SSL certificate? What to know secure socket layer? As far as websites go, some factors hugely determine its success or failure. Some of these factors include website design, functionality, content, and security certification. When it comes to all matters security, no company can afford to be lax about it. As such, a website needs to be secured in the best possible way so all the site’s visitors can feel a measure of trust and safety while transacting on the website. Especially for businesses that use their website for transactions, security must be a priority. This is where the Wildcard SSL Certificate come into play. These days, most of the user used to check SSL certificate before trusting any site for transactions. This SSL certificate implementation saves you money and time by securing your domain. If you check the wildcard SSL comparison, you may get known that the Wildcard SSL certificates not only ensure your website URL but secure all the subdomains with one certificate. Regular web pages run in the format of HTTP (or Hyper Text Transfer Protocol). Therefore, securing the website means moving from HTTP to HTTPS (or HTTP Secure). For a company with a big website which has multiple sub-domains (sample: checkout. example. com, blog. example. com), this can be a bit problematic given that each sub-domain has to be covered. Wildcard SSL Certificates are specially designed for such websites having the aim of saving time when making a move and also offering a cost-effective solution (cheapest wildcard SSL certificate) for businesses with a heavy website. In a nutshell, Wildcard Certificates are used to secure the whole website which includes one primary domain and its corresponding unlimited sub-domains. The SSL certificate authentication is designed in such a way that it encrypts all traffic to and from the browser and the servers and also traffic flowing between servers. This way, with SSL certificate details every customer can feel safe while on the site since the SSL validates the business’ identity. SSL certificate management with subdomains — The sub-domains serve as extensions of your domain name which in turn can be used to create different sections on your main website. For example, if your main site is called example. com, you can have a section where you have photos, and this section will have the address photos.example. com. So with the multi-domain wildcard SSL certificate, the sub-domains make the secure navigation easy for the client to get to the desired page without having to go through the homepage. So, why exactly are these wildcard SSL certificates so necessary for the business? For a big website, there would obviously be questions on the number of sub-domains which can be secured using a single wildcard SSL certificate. The easiest answer is that this type of simple SSL certificate has no limit for the number of sub-domains that can be secured. As a company’s business interests continue to grow, so does its website and the corresponding content that is needed. Having multiple sub-domains is not only advisable in terms of structuring the website, but it’s also critical when it comes to managing content. Customer confidence has a huge part to play when it comes to the success or demise of a website. Particularly in sites that deal with eCommerce, you need to win over your clients so that they can trust you with the payment information & personal details such as credit card information, their home addresses and so forth. With an SSL certificate implementation, the client is assured of privacy while on the site plus the information that the data cannot be intercepted in transit. Research has shown that many clients will not do any business with a website that’s unsecured. Therefore, not having the proper SSL certificates might seem cheap but it will cost you a lot of business in the long run. 3. Improved Google ranking and SEO. For any website to be successful today, it needs to have proper SEO boosts, a better search ranking and higher DA (domain authority) on the search engines such as Google, Yahoo, and Bing. According to recent Google algorithm updates, most of the SERPs (search engine result pages) that appear on the first page are pages which have implemented a security policy by having an HTTPS connection. To give web administrators further initiative, Google decided to include HTTPS as a ranking signal on its algorithm. This means that websites with a valid SSL certificate would, in fact, rank better than their counterparts without. As an unspoken rule, every business must monitor its expenses. Keeping expenses as low as possible means having bigger profits as a company. Imagine having a business with a website which has 14-15 sub-domains. If you wanted to secure all of these sub-domains and give them an HTTPS address, you would normally have to acquire an SSL certificate structure for each Sub-Domain. This means buying 14-15 certificates which you then have to install and configure one at a time for all 15. Not accounting for how much work that would be for the administrator, the cost of the certificates can easily run into the thousands of dollars per annum. Add subdomain to SSL certificate - Wildcard Certificates are cheaper and more convenient solution to this problem. As stated earlier, a single wildcard SSL certificate will cover all sub-domains; therefore, you only have to buy one certificate. Even with the Wildcard SSL Vs Normal SSL; the Wildcard certificate might look like it’s a bit pricey initially, you soon realize it’s cheaper considering the number of sub-domains you can cover. This certificate is also useful for a growing website. The administrator can add as many sub-domains as he wants without worrying about the additional cost to be incurred to secure it. A huge portion of working with SSL certificates is managing them. When it comes to managing SSL certificates, it can be a bit tiresome at times. However, wildcard SSL certificates are entirely different. When you have correctly installed the certificate on one server which houses the target website, you don’t have to configure the certificate on each and every sub-domain. The wildcard SSL acts as an umbrella where all the respective sub-domains are covered. Managing this certificate is, therefore, easier and less time-consuming. 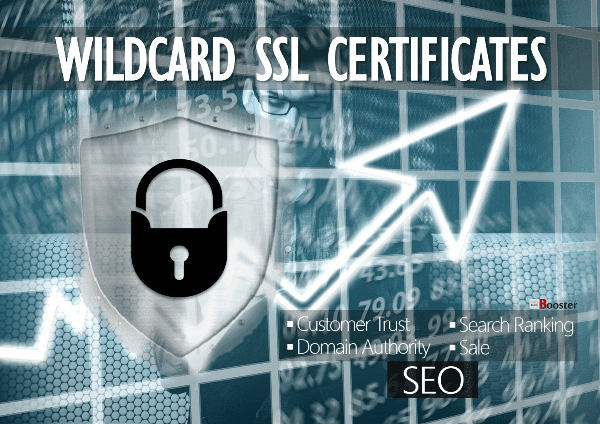 A business needs a proper Wildcard SSL Certificate to grow. Given all the advantages the SSL certificate brings to the business, there is no reason why a company shouldn’t implement it. Based on their business nature, they can choose different SSL certificate available in the market. An SSL Certificate will not only protect their valuable website information but also helps to improve their ranking in search engine, and by having everything in place, business is likely to enjoy more conversions and grow steadily over time.